Denimio has made a name for itself in the denim scene by offering a wide variety of high-quality Japanese denim brands at their Japanese prices. With brands such as Samurai Jeans, Momotaro and Studio D’artisan, they offer some of the world’s highly sought-after denim brands. Alongside these history-rich founders of the Japanese denim scene, there are also some new and up-and-coming brands in Denimio’s shop window. In short, Denimio is offering a well-balanced mix of Japanese brands right from the source, reason enough for an interview, or two. 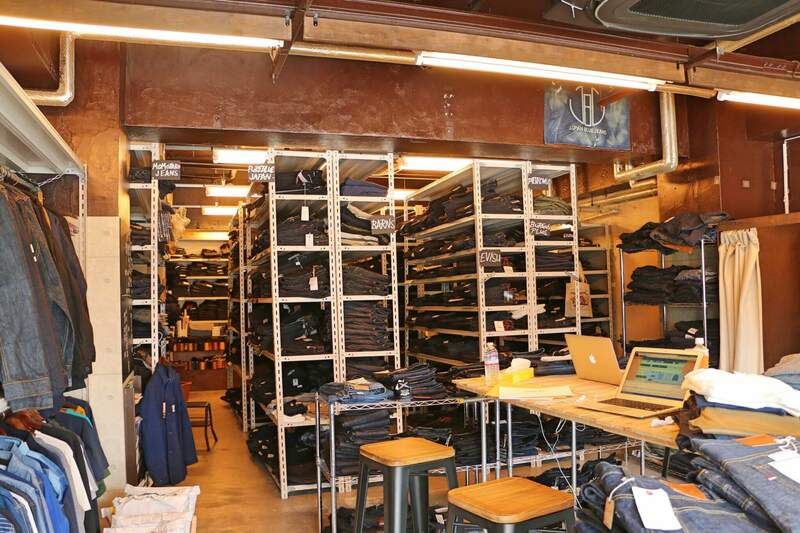 In the first interview (below) we look into Denimio as the Japanese denim retailer. When they were founded, what are their upcoming collections, and how do they manage to keep the prices at their Japanese level. All answers to those questions can be found in the first part of the interview. Next week, we will look into, together with Denimio, Japan as the “promised land” of denim. Denimio’s founder (Mahoto-san), an expert in the subject, will take us by the hand, and answer questions such as: ‘How does denim reflect the Japanese culture?’ and ‘what is the difference between the Japanese and foreign denim markets? So stay tuned next week for the second part of this in depth interview with Japan’s largest online denim retailer: Denimio. Robin Denim: Can you please start by introducing Denimio? When was Denimio founded? How many people work at Denimio? Why do you only sell Japanese denim? What are the most important requirements for the brands you are carrying? Denimio: We started our business in 2009, but when we first launched the shop, the name wasn’t Denimio, but AND-Japan. Since we first started, we have been growing steadily, and nowadays we have about 20 employees at Denimio, including some part-timers. 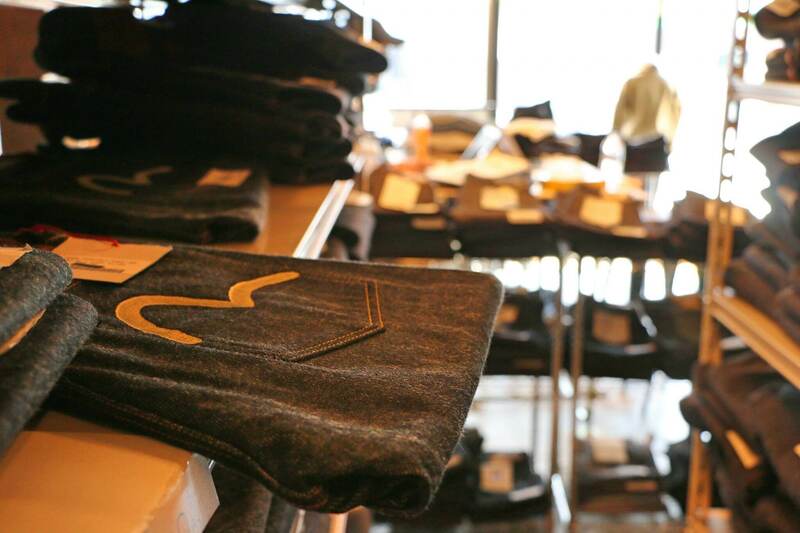 We don’t necessarily limit ourselves to just Japanese denim but so far, yes, we have been selling Japanese jeans mainly. The reason why we have been putting higher priority in Japanese denim products is because of how special Japanese denim is as a product-type and the connection we have developed with the industry in Japan. It’s rare to find fashion products that are so committed to the craft behind them, especially in this day and age when fashion is moving so fast, most people forget about the stories and production methods behind the products they wear. Well, we have fallen in love with just that: high quality manufactured fashion goods, of which to us, Japanese denim is the very pinnacle of them. This combined with the now decade-long relationship we have developed in the industry in Japan, is the main reason. We want to continue to help those players in the industry we have become close to. We want to help the overall subsistence and growth of the industry because we believe in the people in it and what they do. That said, we are not opposed to selling other types of products, and as you can see from our site, we do have other product categories, such as leather goods manufacturers, but in order for us to carry them, they have to be of a similar type of high quality, sustainably produced fashion goods. Robin Denim: What are the most important requirements for the brands you are carrying? Denimio: As mentioned in the previous question, one of our main requirements is looking for brands that are high quality, sustainably produced fashion goods. We also look for brands that have a clear identity and consistency. Other criteria are professionalism, honesty, and moreover, that they care about the industry as a whole and not just about themselves. Robin Denim: Denimio is known for offering high-quality garments, made by renowned brands, for a lower price than many other web stores. Can you explain how you manage to keep the prices low? Denimio: We don’t really offer products at a lower price and the price is not set by us, but reflects the retail price in Japan which is set by the brands themselves. We offer free-shipping both domestically and internationally, which is very expensive, and we have a physical store in Yokohama which adds to our overhead. Luckily our volume is strong enough for us to be able to continue to offer our products at fair prices. Robin Denim: How would you describe your relationship with the brands you are carrying? Are you just a retailer, or more than that? Denimio: Brands who share a similar vision with us see us as an important part of the industry, so for them we work closer, providing more help than just selling their products as a retailer. A lot of the Japanese brands for instance do not know the international market, therefore we try to share our knowledge with them to enable them to make even better products, and we have even brought them to fashion shows in different countries. Robin Denim: What brand offered by Denimio is deserving more attention by your customers? Denimio: I know this may seem like a shameless plug, but it would be our own house brand: W&W. The fabrics used and the construction quality are equivalent to branded products in 200-250USD range that we carry, but we are able to offer them at around 130USD as it is our house brand. Especially for people who are looking to get their first pair of Japanese raw denim, the value for money is hard to beat: top-notch construction, great materials and amazing fabrics for a very reasonable price. We launched W&W last year and the response has been very positive. 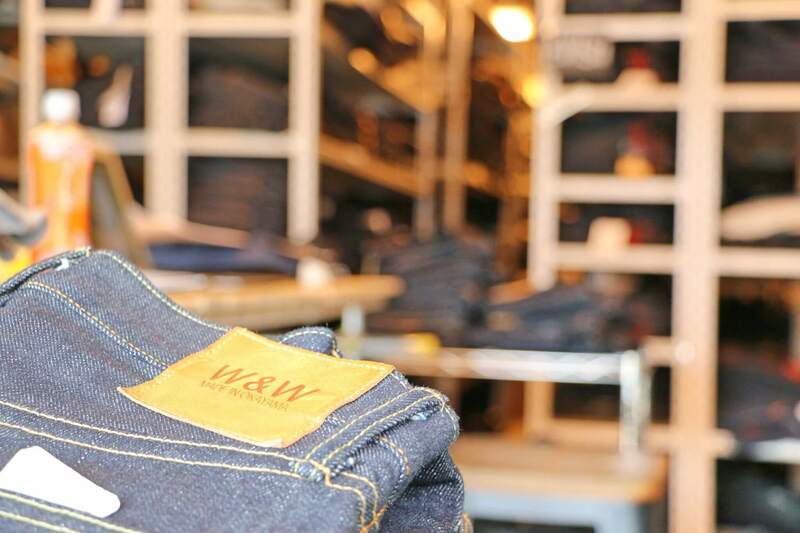 We are currently working on quite some interesting stuff so that even more people can take their first steps in the world of raw denim with a high-quality product. Robin Denim: Speaking about new brands or upcoming collaborations, what can we expect from Denimio in the future? Denimio: All of those! There are many projects going on behind the scenes, so please keep an eye on our newsletter and FB/Instagram posts. Quite recently, we have launched an amazing collab with Samurai Jeans: the S710XX25OZGDB, a pair of jeans designed by the six finalists of last year’s Great Denim Battle between ONI and Samurai. The result is one of the most attractive pairs I’ve come across–the amount of customization alone (even for Samurai standards) is impressive. We have also just released the ONI 902AIZUMI which will be exclusive to Denimio. And as we said, there is a lot more in the pipeline! We are also continuously working with popular denim brands that we want to add (or switch from proxy), but we would rather not disclose which ones we are aiming for because some of the brands can be a bit sensitive about mentioning them before onboarding them.